This blog is dedicated to the philosophy of science called systems sciences, and its logic-mathematical formalism, the scalar fifth dimension of space-time. All this allow us to define any system in time, by its life and death cycle which we shall call a worldcycle (taken from 4D physics, worldline, which now with a new dimension becomes a worldcycle. Since indeed any scalar super organism’s existence can easily be defined as a travel through the 3 scales of the fifth dimension, as all systems are born as a seminal, smaller form, in the ∆-1 lower scale, grow fast with its faster time speed, emerge in the ∆º body scale and are part with its head/particle of a larger social world, in the ∆+1 scale. And amazingly enough with this simple scheme of 5 pentalogic elements, tracing 3 relative worldcycles, the first ‘placental worldcycle’ as it evolve in the relative safe ‘womb’ of a maternal system, the life cycle, as it tries to survive in an outer ecosystem, and for the most organized systems, a 3rd worldcycle as it forms part of a larger super organism, we will be able to order everything in the Universe, every event and every phenomena, which the researcher has studied for decades. So we study further the nested super organism of mankind history in its 3 scales, the individual human being, the nation or civilization and mankind as an ideal global super organism, which if humans were intelligent and ethic enough they would design with the laws of super organisms in a much more efficient manner than our corrupted economic=blood system of reproduction of goods and political=legal-nervous system of information and coordination of its citizens-cells. So this is most important upgrade of spacetime theory since Einstein’s 4D formalism – which corresponds to the limit of 5D metrics in a single scale, that of the galatom’s light spacetime. Yet the blog is extremely extensive in its scope and due to the fact it is the work of a single researcher, by force incomplete. It is the ‘first seed’ of a new paradigm of philosophy of science. •: The electronic seed: Beta Decay. 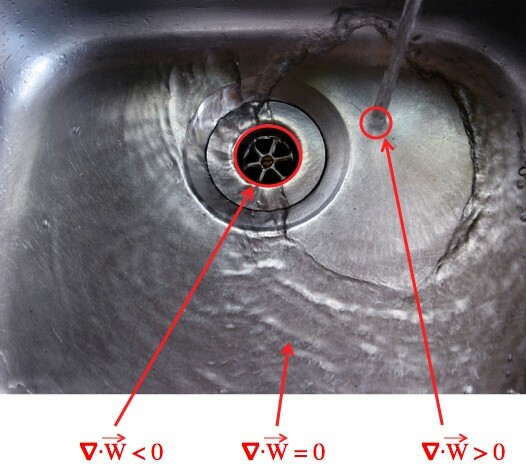 Γ: Generator equation: the worldcycles of electrons. β: Space-Time symmetries. Its Metric equation. Space=atomic state. Time=electric state. ψ: Networks of electrons: States of Matter. Electric and magnetic flows. ∃: Emergence: Neutrino theory of light. Social evolution of light. Ω: Light ages. The horizon limit. Ξ: Neutrino plane, light plane, atomic plane. §:Social light: Frequency and Colors. ∞: Light death into neutrino background. When dealing with the ‘scales’ of forces that ’emerge’ one from the other, and its disomorphisms of position=space and motion=time, the key questions is to consider how forces predate into each other, and how they combine complementary in symbiosis to form a single ‘whole’. Electric field/force-> Magnetic field/force -> Mass field/gravitation. Positive divergence means that the field is “flowing” out of a region. Negative divergence means that the field is “flowing” into a region. When the divergence is zero, then the amount that “flows” in must be equal to the amount that flows out. Curl is how much the field “twists”. In a whirlpool or a tornado all of the curl is in the center funnel, and the field (wind) wraps around where the curl is. 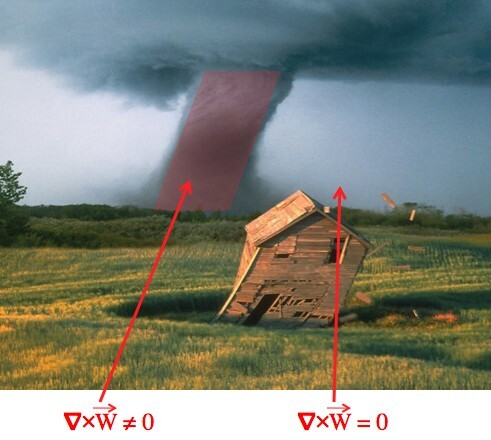 If W is the way the wind is blowing, then the tornado is the curl of W. Curl is the “twistiness” of the field, which points around the curl. Although the wind around the tornado is moving, all of the twisting is happening only at the tornado itself. This first equation simply states that electric field lines ( ) only start at positive charges ( ), and only end at negative charges ( ).Electric field lines only begin and end at charges. Any region that contains no charges (or an equal number of positive and negative charges) will have the same amount of field lines entering it as exiting. If a region contains no charges, then the number of field lines entering it is the same as the number of field lines exiting it. Again, “field lines” don’t exist. They’re just a really useful metaphor. So, an electric current is homologous to the funnel of a tornado, and the magnetic field is the wind whipping around the funnel, caused by it. But in any system of nature, bodies and heads are complementary, while both ‘feed’ on the ∆-1 limbs/potentials. And so the electric field MUST get back from the magnetic field part of the motion the cyclical magnetic ‘particle’ so to speak, gets from the electric potential, in a similar quantity but with an inverse direction signified by the negative sign. 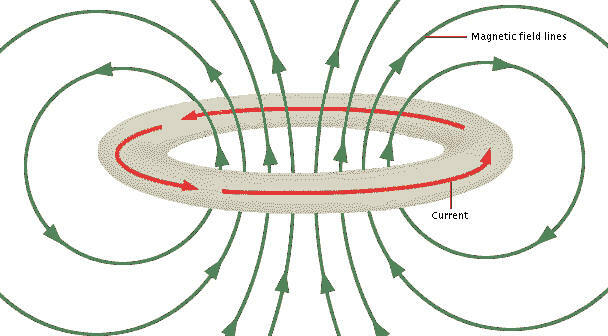 So like the last equation, this equation states that a changing magnetic field creates curl in the electric field: If you have an electric field that curls in a circle, then you can generate current and electrical power. 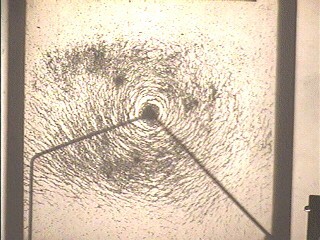 A changing magnetic field creates curl in the electric field. So if you increase the magnetic field through a loop of wire, there will be an electric field along the wire (tornado makes wind along the fence). When an electric field runs along a wire it pushes charges along it. Induced current! Unlike in equation (iii), there’s no “J” moving electric charge or “magnetic charge”, since then you could have “magnetic current”, and there would be a magnetic current term in equation (iv). But because a loop is a fractal point with width observed from a larger scale, when we move ‘upscale’ to the mass field, the magnetic field will be ‘seen’ from the cosmological scale as a ‘magnetic monopole’ from the relative larger scale of the mass enclosure and so it will also contribute (Relativity) to the mass scale. The speed of light: Since Heaviside’s equations impliy that changing electric fields created magnetic fields (iii) and that changing magnetic fields created electric fields (iv), electric and magnetic fields can sustain each other without the need for electrical charges or currents, by predating in symbiosis the lower electric potential; and so we might wonder what is that lower ∆-1 potential from which both obtain motion, and it is indeed the lower ∆-1 photon/light space-time (particle/wave duality), which forms the background space-time of the galaxy. And since we get the general wave equation: , where A is a wave, and v is the propagation speed of that wave. So, the electric field E, propagates as a wave at (light speed). And since by Galilean Relativity all physical laws are independent of how fast you’re moving C speed is independent of how fast we’re moving as Einstein realized to buld its Relativity theory. The Rashomon effect on electromagnetism. Ternary arrows of time: st-fields, s-potentials and t-charges. S-Potential. ST-field, tƒ: charge: three approaches are customarily discussed, as the equations are in terms of electric and magnetic vectorial fields (present wave, st, the commonest), potentials (fields proper, the entropic, scattered solution), and charges with currents (the tƒ solution). ∂S (∇S)² h²∇²R −∂t=2m+V−2mR . Due to the similarity with the classical Hamilton-Jacobi equation (for the action S) the term ∝ h ̄2 has been baptized quantum potential . Within the Hamilton- Jacobi theory the particle velocity is constraint to m·v = ∇S, which corresponds to the guidance equation of the de Broglie-Bohm theory. 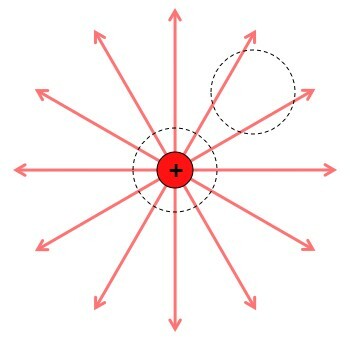 If one adopts the quan- tum potential formulation the motion along the Bohmian trajectories can be thought of as taking place under the action of a novel quantum-force . However, the guidance equation can be motivated e.g. by symmetry arguments (Dürr/Goldstein/Zanghi, 1992) and needs no recourse to the Hamilton-Jacobi theory. Moreover, in Goldstein (1996) it is argued that the quantum potential formulation is misleading since it suggests that the deBroglie-Bohm theory is just classical mechanics with an additional potential (or force) term. But the deBroglie-Bohm theory is a rst-order theory (i.e. the velocity is constrained by the position already) and this important trait is disguised in the quantum potential formulation. Whether this ambiguity in the formulation of the de Broglie-Bohm theory should be viewed as a substantial debate or a secondary matter depends on the context. These two readings of the theory have certainly a great deal in common and in comparing the de Broglie-Bohm approach with standard quantum mechanics the distinction between these di erent schools is usually irrelevant. However, more detailed discussions which involve subtleties regarding e.g. the status of the wavefunction or particle properties have to pay attention to these di erences. ∆§: The four fundamental approach in classic electromagnetism is the current description, which is the social scaling of electricity. The mind approach, includes the human pov deformation from the perspective of our tools of measure. It is the 4 vector solution of relativity, which roughly speaking can be considered the ∆• mind solution as it introduces the paradoxes of ‘mind stillness’ in the measure of beings (paradox of Galileo).